"Good luck with those grocery bags" is being wished to all the good folks who live off Knickerbocker M. The train station has just closed on Saturday, August 18 for extensive renovations, and will remain closed for the upcoming 5 months. After Knickerbocker, Central M will follow the same repair destiny. So enjoy while it lasts, folks off Central M.
What exactly will be done? 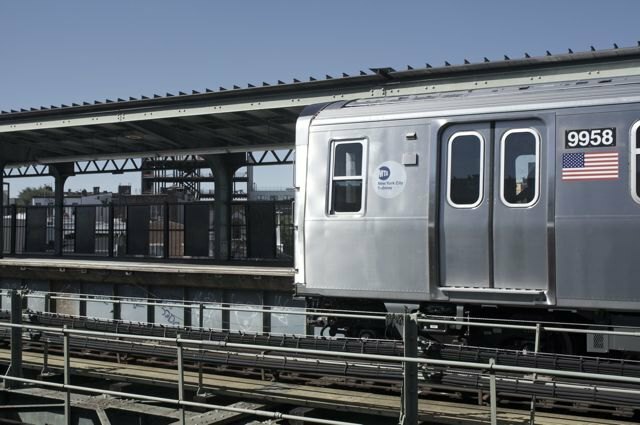 "At Knickerbocker Avenue and Central Avenue stations, workers will entirely reconstruct the control houses, refurbish the station agent booths, replace the street and platform stairs, install new windscreens, perform structural repairs, install new drainage systems and repair column bases," MTA promises. ...and it might actually be a good thing as the train station steps are leaking, and generally everything is "messed up."